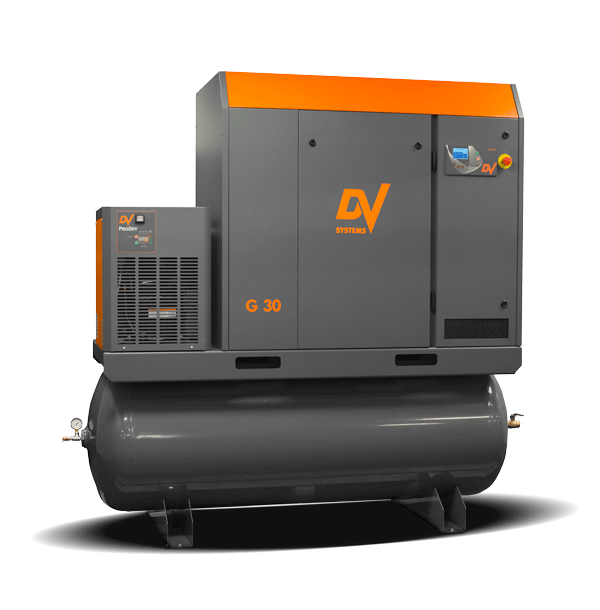 The 30HP Rotary Screw Compressor can operate at a 100% duty cycle and is ideal for continuous-use applications where reliable, dry, clean air is required. Innovative component integration results in a compact, quiet air system engineered for efficiency & performance, providing high capacity air delivery and stable system pressure with minimal installation space. Available in both base and tank mount configuration. Tank mount configuration also comes equipped with a refrigerated air dryer. Centrair Air Systems is a proud distributor and service centre for these compressors.